I wanted ColourPop since November 2014, I wanted their 1st Anniversary LE Super Shock Eyeshadow: Birthday Girl. I wanted ALL My Favourite Colour in ColourpPop Cosmetics. 1st Base is my most Favourite Colour out of these, And second favourite is Mars, Donut being my least favourite of them. 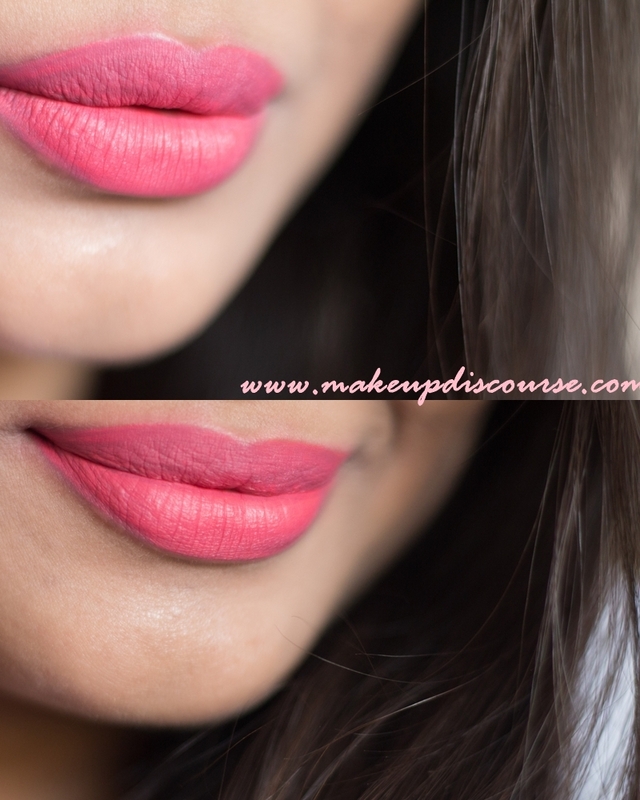 The swatches are clicked with Bare and Prepped Lips, Unlined and are Uncorrected with concealer. ColourPop Ultra Matte 1st Base is a Mid-Tone True pink, as described by ColourPop. 1st base is a Neutral Pink and almost looks subdued Mauve. With one single layer of this, looks amazing. My camera could not pick the right hue, I shall use this in one of my makeup looks. I wore this first time to T's Birthday Dinner and every time, I want a soft Pink Lip. 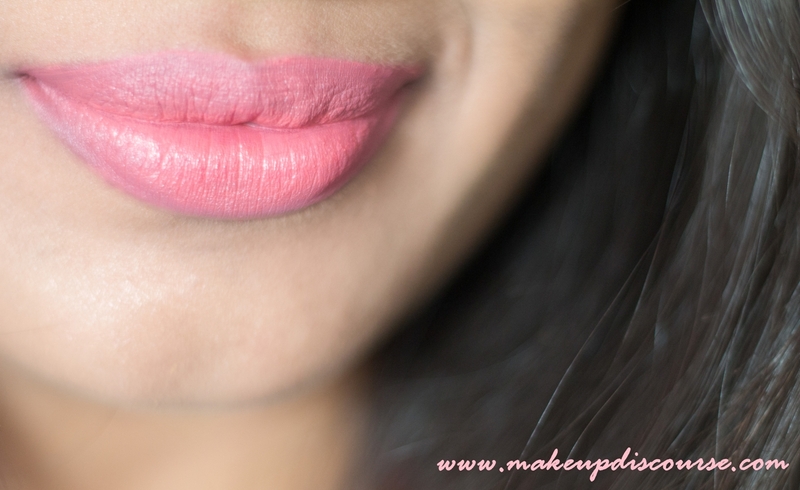 This mid-tone pink come forth as a cool toned Pink on my Neutral under tone. The warmer the undertone, the pinker it shall be. ColourPop Ultra Matte Donut is a Bright Peach, as described by ColourPop. I picked this on whim, a warfare between Solow & Donut. ColourPop Ultra Matte Donut is almost Pastel Peach with warm Brown undertone. This clashes with my neutral undertone and washes me out, or so I think. I think, this should be a great colour for summer. 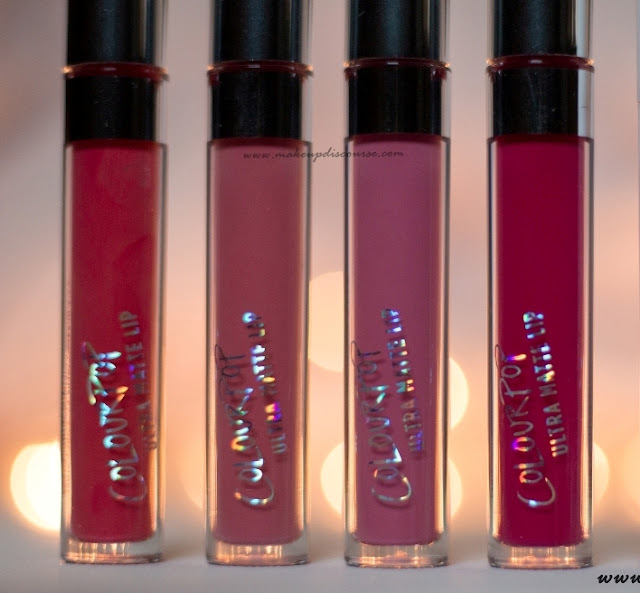 ColourPop Ultra Matte Ouiji is a Bright Coral Red, as described by ColourPop. If there is, out there, a theory like: Love at First Sight. This will be it for me. It was decided, Bright Corals warped in Pastel would define my liking? The Colour is as described A Bright Coral with Red undertone. This is brings out more brownness indoors and more yellow outdoors, either in my skin or in itself? ColourPop Ultra Matte Mars is a Red Fuchsia, as described by ColourPop. 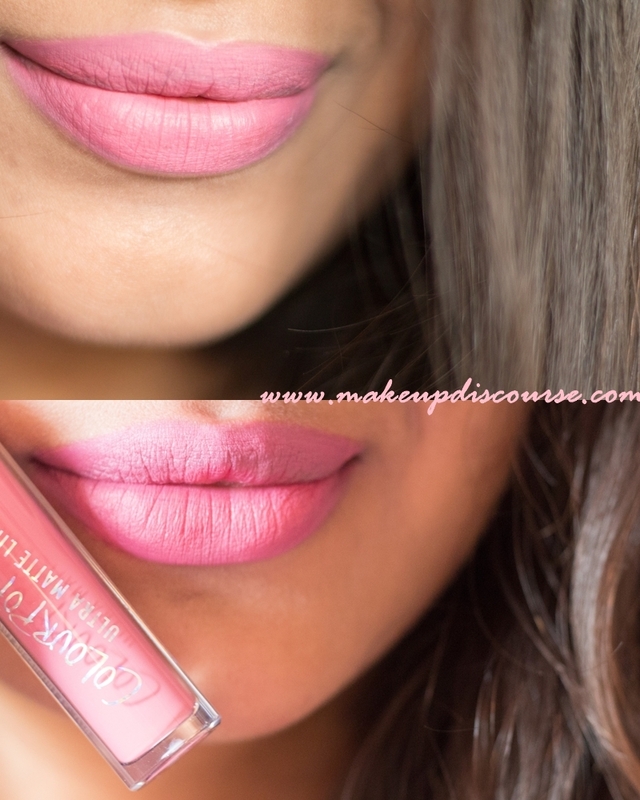 I have Hues of pinks in my wardrobe, and I always pair Pinks with Bold Lips ofcourse Pink! So I was torn between Highball and Mars, I was sure Highball would turn Violet-ish on me, so I skipped and friendzoned Mars. I love the Planet too, fiery & misconceived. And so is the colour, Can I just not tell you how much I love this colour? 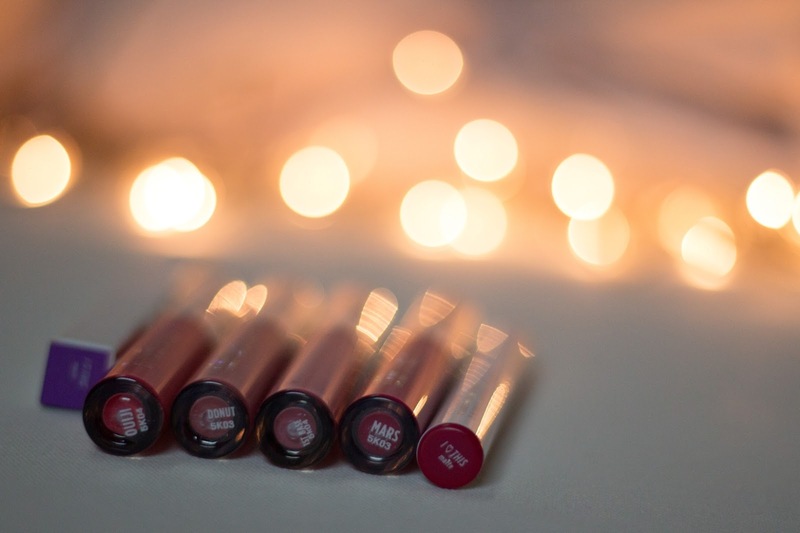 ColourPop Ultra Matte are 100% Matte Liquid Lipsticks. These Dry completely and does not transfer once they set/dry. They did crack on my lips in winters, irrespective of the lip balm underneath. And it turns streaky and patchy, if you layer or reapply. 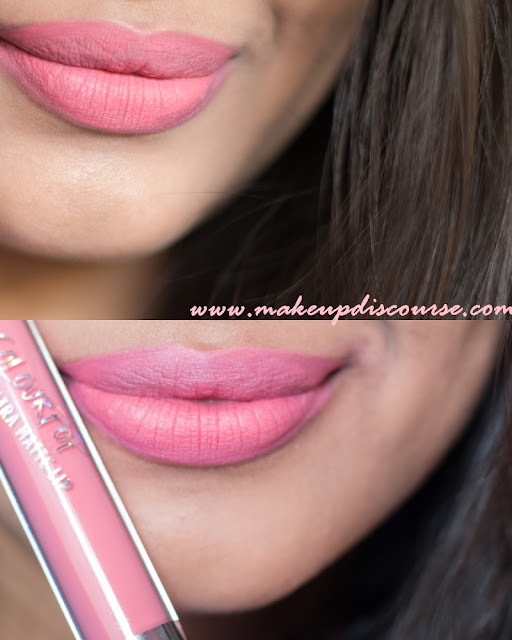 But ColourPop Ultra Matte Mars is the only colour that refused to crack or turned streaky on application. I should've bought ColourPop Lip Pencils too. The battle would've been much easier, I assume. ColourPop Ultra Matte Donut on the other hand, cracked, turned streaky and worn off patchy. Reason? The Darker shades stain deeper than the soft ones. You CANNOT apply and expect flawlessness without prepping or conditioning lips. Bare but Prepped Lips is what makes it long lasting. Any trace Lip balm underneath degrades the longevity and I find it absurd. Colourpop Ultra Matte Donut with Lip Balm underneath: Takes away the intensity! Recommendations: Not for Dry, flaky unprepared Lips. These are not really uncomfortable, but these do crack if you have dry lips. On the other hand, Deeper staining shades are blessings! I surely love these for occasions where I don't want to touch up. My lips are not dry unless the weather. Own these if you could, at least one to not curb your curiosity.